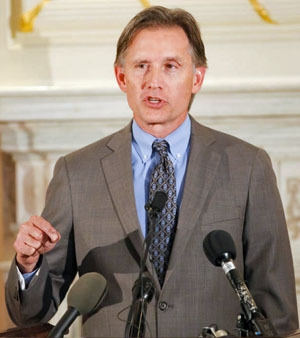 Oklahoma Attorney General Mike Hunter Wednesday filed charges against two individuals during the National Health Care Fraud Takedown effort. The takedown is a nationwide sweep led by the U.S. Department of Health and Human Services’ Medicare Fraud Strike Force in partnership with other federal, state and local law enforcement entities to crackdown on healthcare fraud schemes. Attorney General Hunter said his office is committed to stopping healthcare fraud and prosecuting individuals who harm Oklahomans. Florence Ezeala was charged with 2 counts of fraud. 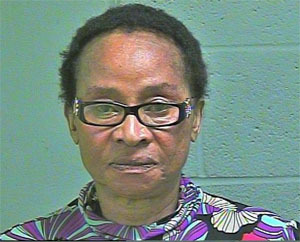 Florence Ezeala, of Edmond is accused of submitting false claims to the Oklahoma Health Care Authority (OHCA) for psychotherapy sessions provided to Medicaid recipients. The OHCA paid $10,457.24 on 177 false claims to Ezeala’s employer. According to court documents, an investigation began after her claim history raised suspicion when she documented an excessive amount of time with patients per day. Ezeala also claimed to work a disproportionate amount of days per month. Surveillance of her during the investigation directly conflicted with submitted claims, and interviews with patients indicated counseling sessions lasted less time than was billed. Ezeala is being charged with two counts of Medicaid fraud. Lindsay Daniels is charged with larceny of a controlled dangerous substance. 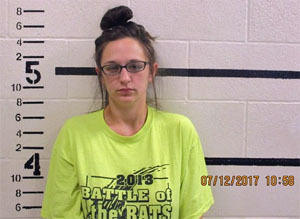 Lindsay Daniels, of McAlester, is accused of stealing 78 hydrocodone pills from a resident at Beare Manor Nursing Home in Hartshorne. Daniels is alleged to have received and signed for the delivery of the medication. After initially denying the allegation, court documents say she later admitted to an agent that she stole the pills. She is being charged with larceny of a controlled dangerous substance. If convicted, the defendants face prison time and fines. This entry was posted in State on July 13, 2017 by admin.